The jet carrying Putin “was there at 16:21 Moscow time and the Malaysian aircraft - 15:44 Moscow time." That's a 37-minute time difference. How fast were they flying? At 400 mph, that's easily a 200+ mile gap. How fast do anti-air missiles fly? To call that an "intersection" is a large stretch of mathematical imagination. The folks with the Buk would have needed to have a DARPA-configured update that allowed their missiles to engage in time travel. By the way, has anyone seen any real evidence of a manifest for this flight? Or this is a host plane that manifested itself out of an Israeli hangar? If the kiev authorities want to tell the truth, it is known that 2 fighter planes flew very close minutes before, but the plane wasn't downed by one of them. Nada más desaparecer el avión B 777 de Malaysia Airlines la autoridad militar de kiev nos informo del derribo, como lo sabían? As soon as the B 777 Malaysia Airlines plane disappeared the kiev military authorities informed us that it had been shot down, how did they know? 1. @spainbuca (cuenta suspendida por Twitter) – Es real; verificada con IP de Ucrania. Esta persona tenia doble nacionalidad (Española y Ucraniana); Muchas páginas web afirman barbaridades respecto a el SIN TENER PRUEBAS. 2. A través de varios servicios confidenciales y privados, existen análisis de la cuenta de @spainbuca; por lo que actualmente descartamos lo que va por Twitter: “@spainbuca es un fake” – La cuenta era real; y los datos en ella también! 3. Me han informado a través de varias fuentes lo siguiente: Me afirman que USA mando una orden a Twitter Inc. para eliminar la cuenta de @spainbuca por motivos “desconocidos”. 4. Existen señales de varias personas que trabajan para empresas de “http” que confirman que USA mandaba órdenes a Ucrania (Kiev). Bueno señores, eso era todo de lo que podía informar. Las fuentes de información son confidenciales. I would like to make new things clear regarding information about flying Malaysia Airlines 17 (MH 17) 1. @spainbuca (suspended by Twitter account) - is real; verified IP of Ukraine. This person had dual nationality (Spanish and Ukrainian); Many websites say terrible things about the without having evidence. 2 on several private and confidential services, there are analysis of the count of @spainbuca; by what currently rule out so far on Twitter: "@spainbuca is a fake" - the account was real; and the data in it also! 3. I have been informed through various sources as follows: claim Me that it uses command order to Twitter Inc. to delete the @spainbuca account for "unknown" reasons. 4. There are signs of several people working for companies of "http" confirming that USA sent orders to Ukraine (Kiev). Good gentlemen, that was all that could inform. The sources of information are confidential. Here's a better translation of 3. Me han informado a través de varias fuentes lo siguiente: Me afirman que USA mando una orden a Twitter Inc. para eliminar la cuenta de @spainbuca por motivos “desconocidos”. 3. They have informed me through various sources the following: They state that USA sent an order to Twitter Inc. to eliminate the account of @spainbuca for "unknown" reasons. There’s a video here which I hadn’t watched when I made the comment, and I had skipped past the photos of the bodies, but folks are indeed correct when they talk about the comparisons with Flight 93, the infamous “let’s roll” plane purportedly part of the 9/11 events. Ironically, it's the video I didn't stay to watch that was on the TV in the barbershop this afternoon. But you have it very right: one of the give-aways about this whole thing is the parade of people (like Senator McCain) tripping over each other and themselves to tell us the Russians did it. We're being force fed and spoon fed a lot of scenarios. It may take a while to figure out the exacts. If we ever can? If things are being sped up, we may see a follow up event soon. "The injured passengers are actually volunteers. Makeup was used to simulate real wounds. "Anywhere from cut fingers to severe burns on their face, exposed bones, compound fractures. The injuries are extensive to minor," Kenney says. Dummies represented fatal victims. " I saw that video. It was not graphic at all, you lying fool. Only one body shows any sign of charring and it is very light as if greasepaint applied by a makeup artist. There were no limbs torn away nor any blood visible anywhere. In fact, the 'bodies' look exactly like people posing to play dead. NWO Attempted Assassination of Vladimir Putin, But Got the Wrong Plane? Flight MH 17 Never Took Off??? MH17 Lies Already Falling Apart! Ukrainian Govt Messes Up Like MSM & US Govt Did On 9/11!!! One comparison of airplane crashes might be to read Laurence Gonzales' new book "Flight 232" which thoroughly deconstructs the events in which a DC-10 engine malfunctioned and the flight crew managed to use their wits to bring the thing in for a crash impact on landing with cartwheeling wing-over, with scads of interviews, etc. Nevertheless, we must word extraordinarily well together, as did the crew of that DC-10, to save lives. In that event, bodies were thrown out, pieces of the airplane broke off with internal infrastructure intact enough to allow people to walk away in some cases and which, in others, insured their death. It's late; I'll be gone tomorrow. The third and final part over at Boy Down The Lane will show up earlier than the other ones. Hopefully, WWZ will not begin while I'm gone. Couple of things stand out for me, Kenny. First is likelihood it was an assassination attempt on Putin. I comment on the CBC news forums and it is sickening the way some of the pro-Kiev posters were posting threats to Putin's life in the past few days. I am not saying there was a connection but already, I was/am very afraid for his life. Secondly, the crash was very weird...no trail of smoke in the sky to the ground and no explosion in the sky...just on the ground...doesn't make sense. Word that there were two jets trailing the airliner. I believe it was forced off its chosen flight path into this area for the set up. On the CBC forums right now there are dozens of shills blaming Russia/Putin....like they were called into work overtime....probably were. This is a very concentrated effort. I believe it is a big push from the globalfascists and they have put a lot of eggs in this basket. The only encouraging thing is seeing on the Internet that so many Americans are wise to them...and their false flags. Between the Israeli Navy murdering four Gazan kids Wednesday and the IDF killing three more Thursday, this wreck is sure a PR bonanza for Israel, as all those reporters at the Gazan hotel that watched those four kids get blown to bits, will be writing about something else. What timing! The massive Khazar murderous assault into Gaza happens hours after the Flight 17 tragedy, giving Israel all sorts of places to hide their war crimes behind. It's now about 12 hours since the USA 'intelligence' source, unnamed of course, stated that Flight 17 had been shot down with a Russian missile and they're still trying to figure out the triangulation of the shot? This incident stinks to high heaven and it par for the course for the unhinged Israeli's to use an innocent 3rd party, Flight 17 as a False Flag to make the world reel in horror and look that way while the Zionist butchers go on another blood-soaked rampage in Gaza. Here's the 'short list' of Israeli False Flags, 35 and counting with more than a few involving the use of passenger jets. Good night, Johnny! Was lucky to catch Mr. Winter along with a bassist and drummer in a Phoenix, AZ bar back in 1978. They blew the roof off that place. I screwed up the times, the IDF started the Gaza invasion minutes after Flight 17 was downed. Flight 17 downed at 14:15 UTC. Israeli assault on Gaza: 14:00 UTC. Never realized PM Netanyahu was a psychic! Psychotic, yes, but not a fortune teller. Check out the maps on my blog that show the deliberate rerouting of Flight 17 over the Ukraine. Now who would want to do that? Of course that "full, credible, and unimpeded international investigation" won't consider everyone who had the means, motive and opportunity to bring the plane down, such as the Kiev thug junta, the CIA, etc. My "Occurrences" post at midnight (which was very long) did not load. No big deal, as someone in the "neighborhood" had almost everything I had included (with a couple of telling minor exceptions that didn't have a lot to to with MH17, except that I found an old article about a Boeing patent for an "uninterruptible autopilot" that could be commandeered by outsiders (and it mentioned the CIA), which is relevant to the "other" Malaysian 777, and an article noting that Elbit (an Israeli company) was fitting all of the Israeli Boeing aircraft with built-in anti-missile defense capabilities that operated on an independent power system. Oh, and Fetzer's article noting Wolfgang Halbib was given "the script" for the Sany Hoax by a Connecticut State trooper (and he promises to publish it). I'll go back and break the "Occurrences" post into small parts. Several minutes later, two rockets were fired at the hospital, and two more shortly after. The fourth rocket penetrated through the concrete walls. The shelling then began heavily, hitting the hospital from all sides. Nurses ran through the halls screaming. I am starting to think it was more like MH370 than previously thought. Now I think that the flight was diverted and landed. Another plane (possibily MH370) had already been transported to the site and was blown up. Perhaps there were people on the original MH17 flight of interest to the Israeli Mossad "security" company that operates the Shipol airport in Amsterdam. This group has been involved in many false flags in the past...including 9/11. One of the pieces of evidence to this scenario is the video of the fellow going through the passports of the victims on the ground. The passports were in perfect condition. It was as if they had been confiscated beforehand and then brought to the site. Here's another look at the alleged crash site and as Scott says "Curious but not conclusive." The passport thing does seem ridiculous. Sloppy work or planted disinfo to keep us spinning around? Someone posting on a blog today identified from a video of the crash site that the tail ID number of the plane was incorrect. He said it should end in RD if it is MH17, but that this one ended in RC. If MH17 was canceled, and if the reported tail ID number data is correct, then this plane may be MH370. Hence, someone should check to see what the tail ID number of MH370 was. If true, then the flight was empty and robo-controlled, and the crash was staged in order to demonize Russia. News media and US officials wasted no time in accusing Russia and Ukrainian rebels from first minute the news of Malaysian aircraft became public. The funny thing is while they all already accused Russia and Ukrainian rebels only for the tragedy, they all said that we should wait for investigation..So what's the purpose of an investigation if from the first minute the story became punlic Russia was accused of being the culprit?!!! Sen. McCain, Hillary Clinton, Obama and many other officials accused Russia and rebels of being behind this crime but they called for an investigation. All data for such an investigation will be provided by the junta regime in Kiev whose leaders were the first to accuse Russian from the first minute the plane was downed. On the other hand I heard earlier someone on NPR saying that the crash site is in 'rebel' hands and there may never be a real investigation. That would be very convenient in a false flag psyops. NPR sometimes gets insider info and sets a future narrative. We'll see. CBS news tonight reinforced the narrative that the investigation may be 'incomplete' due to the circumstances. I have to agree with your notion about Israel using Malaysian tragedy for their misdeeds in Gaza, specially under the leadeship of Bibi Netanyahu.
" Israel should have exploited the repression of demonstrations in China, when world attention focused on that country, to carry out mass expulsions among the Arabs of the territories." Netnyahu speaking to students at Bar Ilan University in Israel, from Israel Journal Hotam, Nov. 24, 1989. When the US speaks...it is as a sockpuppet for Israel. It is becoming clearer and clearer. The crash site was "created" by trucked-in pieces of the disassembled MH370. Now, where is MH17? Last it was seen it was accompanied by two military jets. Were these jets Ukrainian? Not likely...although they may have been disguised as such. More likely they were Israeli jets and accompany/forcing the plane where? Well Diego Garcia has been used successfully before. Why are they doing this? Like someone said,,,they're on a criminal rampage and terrorizing the world because it won't give them globalism. "Before They take away phones or will smash our head, Aircraft was hit by KIEV. "Before They take away our phones or will smash our heads,I will say tat Aircraft was hit by Kiev"
The Spaniard has left more than 20 posts, of which referred to two ukrainian fighters that accompanied the plane until the loss of communication with him. 4: B 777 "Malaysia Airline" 280 passengers. Crashed in Donetsk, Ukraine. 7: This is how! Looks Kiev got what he wanted. 8: In Kiev again control of the tower was seized . 9: Confirmed: The B 777 lost on the radar, there were no reports of any abnormalities. 12: This is not an ordinary plane crash. They Threaten us in the control room. 14: Before they take away phones, or will break my head, it Kiev who nocked the plane. 15: We have proof . Plane shot down. Kiev authorities are already disposes information. Shot down. Now we are calm. 16: What do foreign agents doing in the control tower? Gathering information. 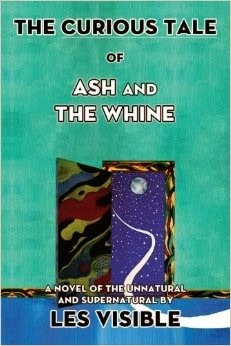 17: When it is possible, continue to write. 18: B 777 aircraft flew in with two Ukrainian fighter, just until it disappeared from radar. 19: If the Kiev authorities want to tell the truth, the two fighters flew next few minutes before they knocked the plane. 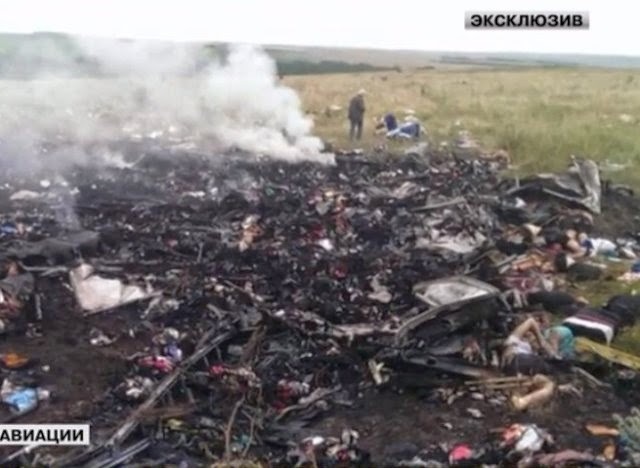 20: Immediately after the B 777 missing, Kiev military reported the fall of the plane. How do they know? 21: At 7:00 am informed about the downing of the aircraft, and later our dispatch office was captured by Foreigners and they are still here.. Foreigners are still here. 22: For Non believers Evrything detected by Radars radars . Plane was shot down by Kiev. We all know it, and the military, too. 23: Here the military acknowledged that it could make another war, but do not know who ordered. 24: Military suspect that Ukraine did it.. But do not know where the order came from. 25: A few days ago I said that the military want to remove Poroshenko. Perhaps this is the case, and order was by Tymoshenko. 26: Fighter aircraft flew over, and just 3 minutes later he was gone. Total 3. NMM had his translations earlier in this thread with the confirmation that the tweets were deleted. I've barely looked into it but some, maybe shills, are saying it is a hoax. Scrubbing is sometimes used to add credibility but not always. WRH is reporting the guy is real. I don't know. I noticed that the Obama remarks were restrained. So a preemptive call to him from Putin, maybe with proof, could slow down the rhetoric especially with the threat of exposing details the US would not like. We'll see if it becomes clear but I have my doubts it will. "JEW" worshippers...rumor has it that it never rains and is always quite HOT !! Independent researchers are now focusing on the photos of the crash site. There are a lot of anomalies with them...not the least that the passports were in pristine condition. I am looking at the difference between the shots of the pieces of aircraft and the other shots where there is nothing but rubble and you can see bodies. It looks like they were taken in two different locations. Someone needs to look closely at this. I remember when I first saw the photo of a body it did not look real...now I am not seeing that particular photo any more. One of the ongoing frustrations I have had with all these false flags, particularly MH370...is the reluctance of Russia to get involved or make any pronouncements (they must know more than they're saying). Now with this...perhaps they will understand the necessity of routing these snakes out of their holes and eradicating them....ASAP! Many questions being asked may be answered by Stone's analysis. There is no PermaLink to this, but there is much more information to be read while it is still front page at the website. The bodies were dead for days before the flight and smelling of rot according to top military commander at the scene, which would be expected if they were actually from flight 370. They would have been loaded on the plane dead to make sure none could speak about what went on. MOSCOW — A top pro-Russia rebel commander in eastern Ukraine has given a bizarre version of events surrounding the Malaysian jetliner crash — suggesting many of the victims may have died days before the plane took off.The pro-rebel website Russkaya Vesna on Friday quoted Igor Girkin as saying he was told by people at the crash site that “a significant number of the bodies weren’t fresh,” adding that he was told they were drained of blood and reeked of decomposition. The liveleak video linked above and many of the photos appear to back this theory up. Very small area of debris for shot down large plane? Also, in regard to Stone's analysis, even dead flesh burns, so what is even left of bodies should have been burned to charred cinders? While going over some of the photos of the crash site of Flight MH17 I noticed something odd: most of the photos are taken from a low angle looking across the same debris field like when someone tries to make a crowd at a fake protest seem larger than it actually is. So I looked into it a bit further and I noticed something else: the crash site is right beside the only road into that area. In fact, all the large pieces of debris are right beside the road. Also of note, most reports claim the plane disintegrated in mid-air when it blew up but the crash site is extremely small for such a large plane and it’s relatively confined to that one space. That’s not at all conducive to the reported eye-witness statements that claim the plane came apart at around 33,000 ft traveling at around 500mph. Debris should have been spread out over several debris fields with quite a distance between them like was the case with Flight 800. DAHBOO77 is painting a very bleak picture of this incident. He alleges that the motivation for the perps is to create a "no fly" zone over eastern Ukraine so they can move in ground troops and wipe the pro-russians out. This would be a prelude to taking on Russia. I am wondering if the decomposing bodies, blood serum and "medications" are indications of a biological warfare campaign against the Novorussians. We also need to find out who the "foreigners" were who came into the control tower with the Ukraine "authorities" and took the radar evidence. If we find out what country the foreigners were from...we know who the perps are, IMO. The just-posted newest "Occurrences" re-posts the old link from 2006 about Boeing's patent for an "uninterruptible autopilot" that can allow control from outside the aircraft "via radio or satellite links by government agencies like the Central Intelligence Agency...."
Add to this the mealy-mouth "We don't know what happened" coming out of the Western sock puppets and it's adding up to another Zionist false flag. Here's another take on the possibility that the dead bodies were loaded on the plane. When assessing culpability, it is not only significant to ask the criminologist’s question: who benefits? It is also significant to observe how the political and media reaction to events quickly takes on an unmistakably scripted pre-ordained formula. In this case, there is more than a pungent whiff of premeditated action-reaction dialectic going on. American geopolitical interests are best served by this atrocity, by shocking a laggardly Europe into adopting its aggressive sanctions towards Russia, even though that militates against European economic concerns. Shooting down a civilian airliner would ensure blowing a decisive rift between Europe and Russia. Remains of the bodies, crashed parts of the plane, still burning engines – that was the dramatic and gruesome picture that local residents saw when the Malaysian plane crashed in the sky over Donetsk Region in eastern Ukraine. Aleksandr, another local who witnessed the plane falling from the sky, was watching TV but when he heard “a roar and two explosions.” He went out to see what was going on. In every single one of these false flags...I have eventually narrowed my personal investigation down to one seminal question...in every single instance, this question is NEVER answered. Usually it is a very simple question and on the surface would appear easy to find the answer for...but the answer is never found. In this case...my question came early. It is: Who were the "foreigners" who accompanied the Ukraine "authorities" when they confiscated the communications and radar in the Air Control Tower? There must have been many witnesses...it should be easy to ask? Why don't we know this already? Browsing through the M$M...and particularly the BBC (Brazenly Best Calumny) I see they are already saying that the pro Russians are tampering with the evidence. This is going to be their main tack from now on....because they have been busted and they know it. RT interviewed an elderly woman who had a body come through her roof and land in her kitchen. It was still there. Her son said there was no blood from it. Villagers claim the bodies all reek. I am concerned about biowarfare. Russian Pravda has a column today questioning Western media quick jump to conclusions shortly after plane was shot down accusing Russia and East Ukranian rebels. Article questions if Putin was the real target. If Putin was the real target, then why all the dead and rotting bodies allegedly in the MH17? If it had not allegedly been shot down, where was its destination? And were the dead bodies meant to arrive there? And if there was a pilot and crew actually flying it, what explanation would they have given for this? Seems that they would all have had to be dead. Since live pilots have to keep in communication with ground controls while in flight, was there any? Was Putin's plane under cover of protective air support, by the way? As Air Force 1 is when in flight with the President on board? Kenny, I can't get the videos on your comments section to work. Also, there appears to be an attack on alternative web sites on the Internet going on. David Icke (who has a brilliant depiction of Israel currently up on his site) was out two mornings in a row. Jeff Rense is down now and even the BBC had a "denial of service" earlier this morning. Oh and globalresearch.ca is say that they have been advised that the Spanish Air Traffic Controller is fake and operates out of England....they are "looking into it". What if this event was scripted and carried out as was the Sandy Hook Hoax? With US/NATO/ ISRAEL/UKRAINE-KIEV in league together, quite possible. Real plane debris, real dead, rotting bodies, lying witnesses all-around! How much is really true? What is the ultimate purpose? War with Russia and letting Israel get away with its continuing genocide of Gaza? "Notice the truck tire tracks in the foreground? Notice the coal? Yes folks, that is a coal mine. Yes, those miners were set up to film the explosion in advance and their story is that they only did that because they saw a huge explosion or TWO of them… in the sky. That clearly didn’t happen. So why would these miners lie? Because Ukraine’s richest man, Rinat Akhmetov, their boss, told them to. That’s why. The first people on the scene were workers from a nearby coal mine." 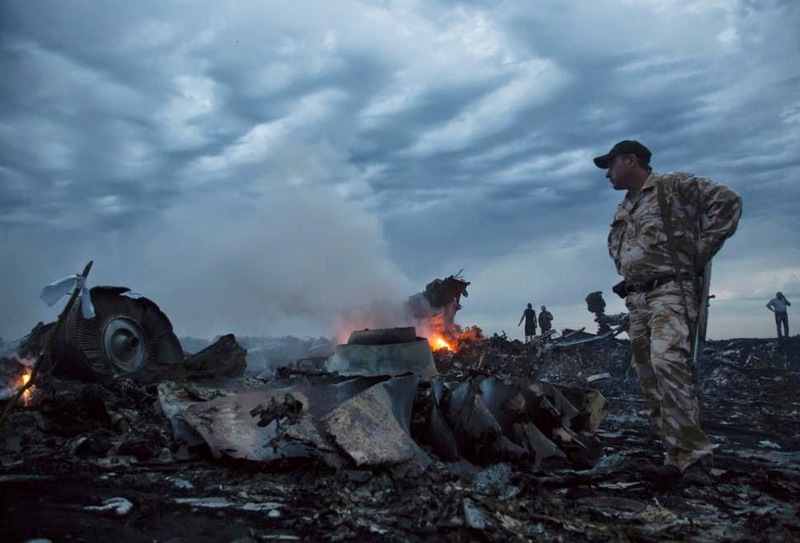 AIDS Microbiologists on MH17 story a HOAX! As I suspected, when a major Australian paper reported that 100 top aids researchers were on MH17, the story was a hoax. As it turns out, the official airline serving the conference is Emirates Airlines, which is offering steep discounts on air travel to the conference, and is listed as the official airline serving the conference. This puts the 100 dead microbiologists on A SINGLE MALAYSIA AIRLINES FLIGHT that in reality left too early anyway into the HOAX category, FIGURE THE ODDS. Media outlets have been saying all day that the evidence has been tampered with. Trust us, we know who did it...!! but we cannot run an honest investigation because evidence was tampered with. So take us on our word, we know that Russia did it...!!! "Within 5-minutes of President Putin warning his US counterpart, President Obama, that “war games” being carried out by NATO member Royal Canadian Air Force (RCAF) forces over Romania could lead to a “potential catastrophe”, Malaysia Airlines flight MH17 was destroyed over the eastern conflict region of Ukraine." The RCAF CF-18 Hornets belong to the 425 Tactical Fighter Squadron and began arriving in Romania in the days prior to the 5-10 June where they began engaging in “highly provocative war games”, this report says, which included electronic jamming of civilian flight radars. So “provocative” have RCAF pilots been, last week that they were tasked by NATO to begin “direct confrontations” along the Russia border with Lithuania against Russian Air Force pilots beginning in August." Very good analysis to verify that MH17 was actually the missing MH370 with all the now dead passengers. Any hope left for them is lost! Updated info comparing identifying photo images of both planes--MH17 and MH370. Flag icon placements on planes next to doors are unique to each one.